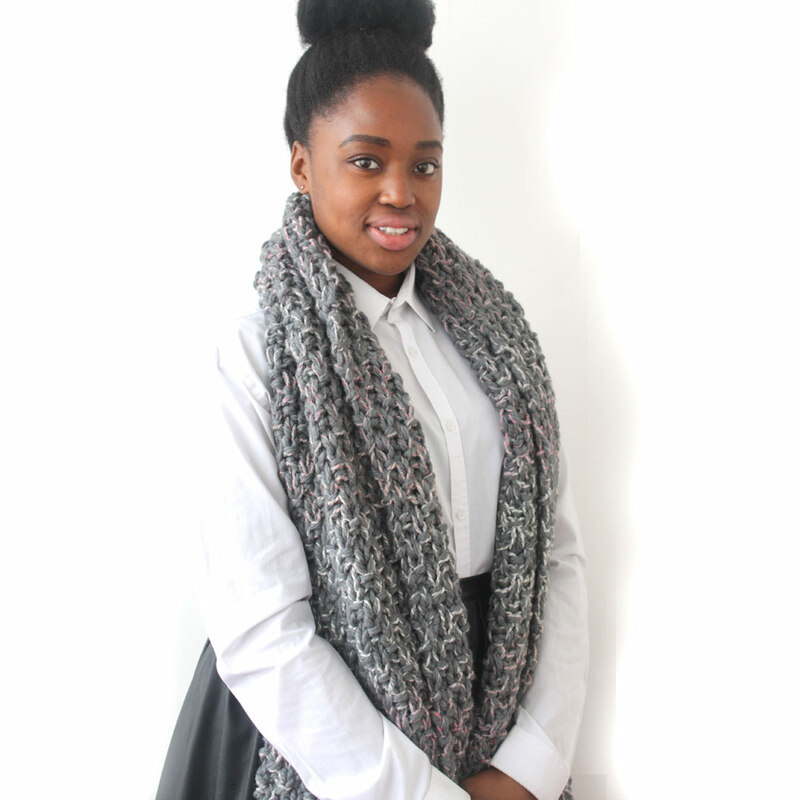 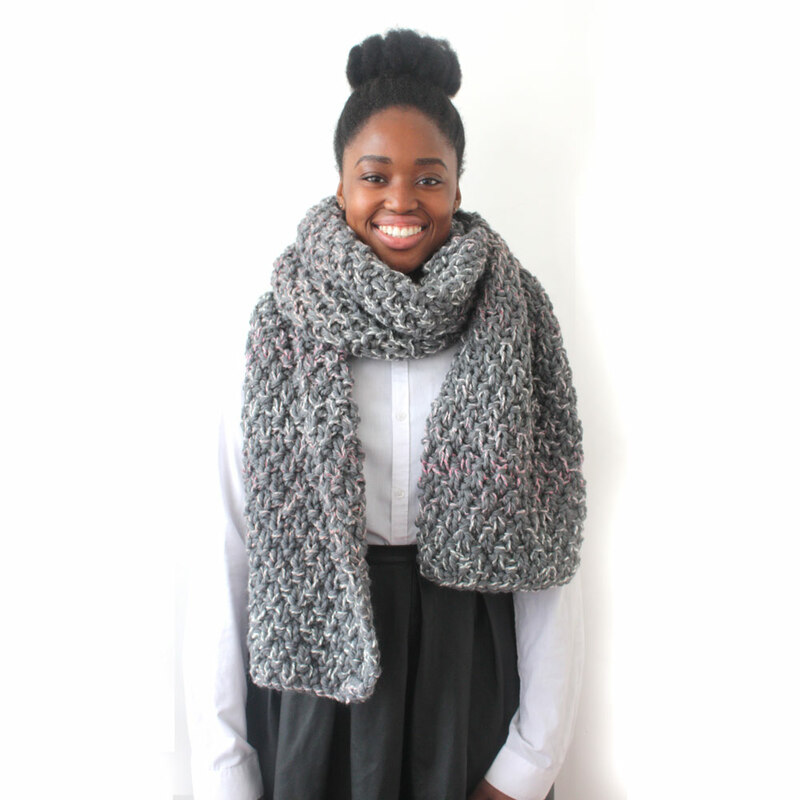 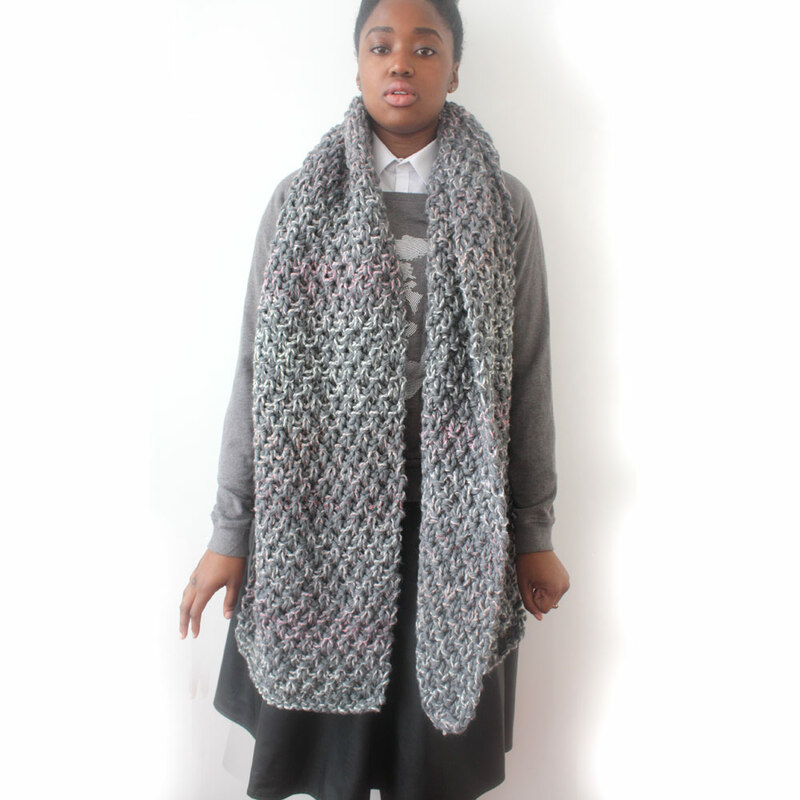 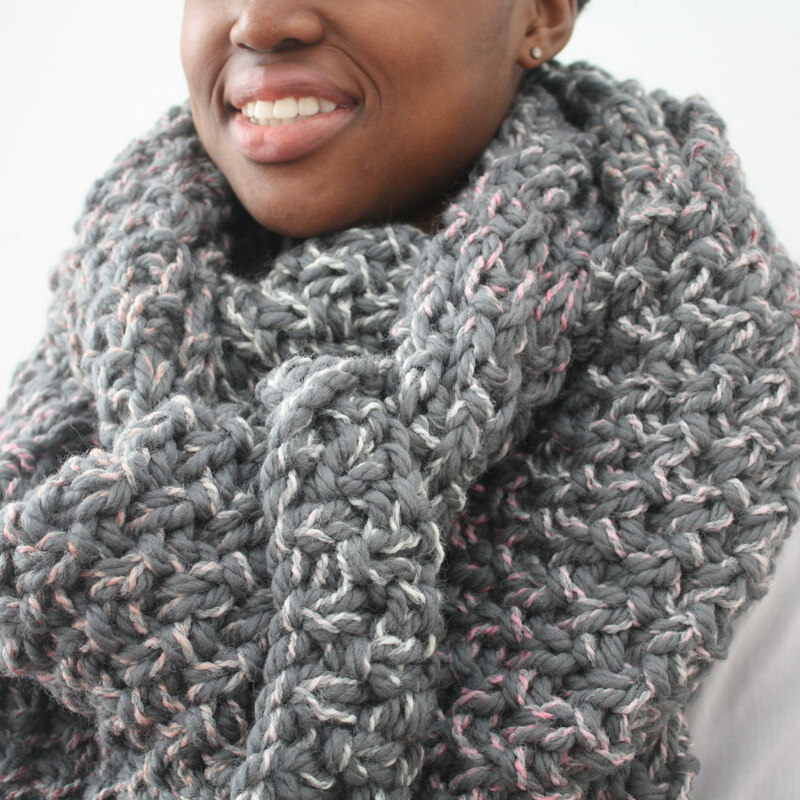 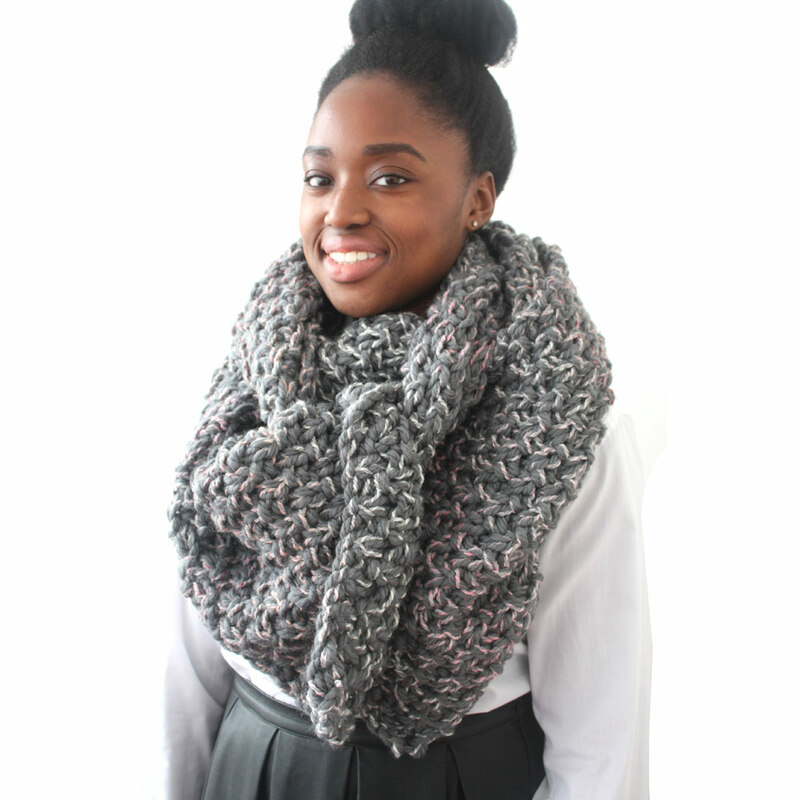 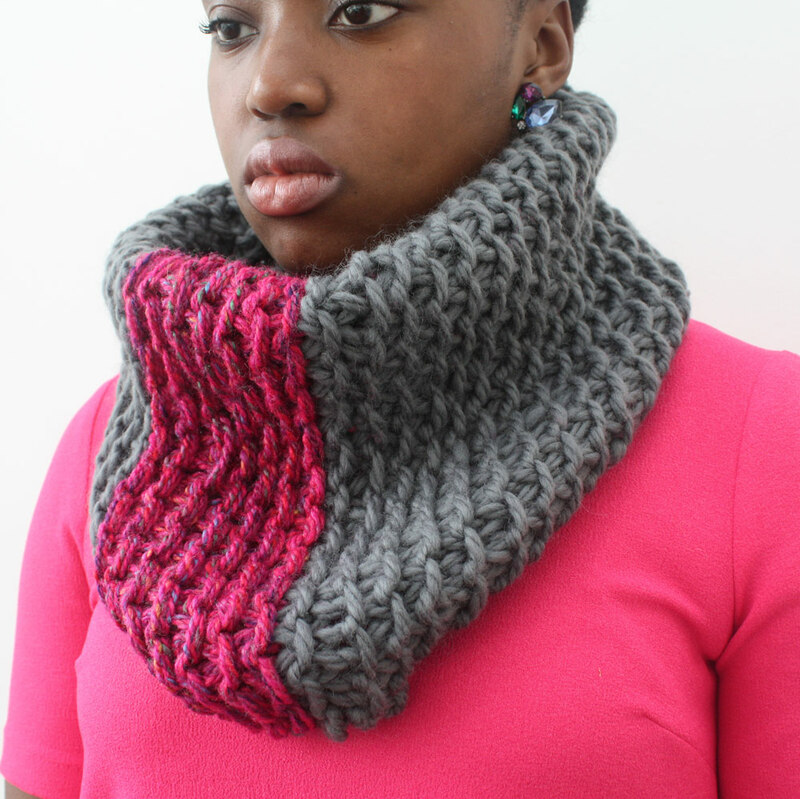 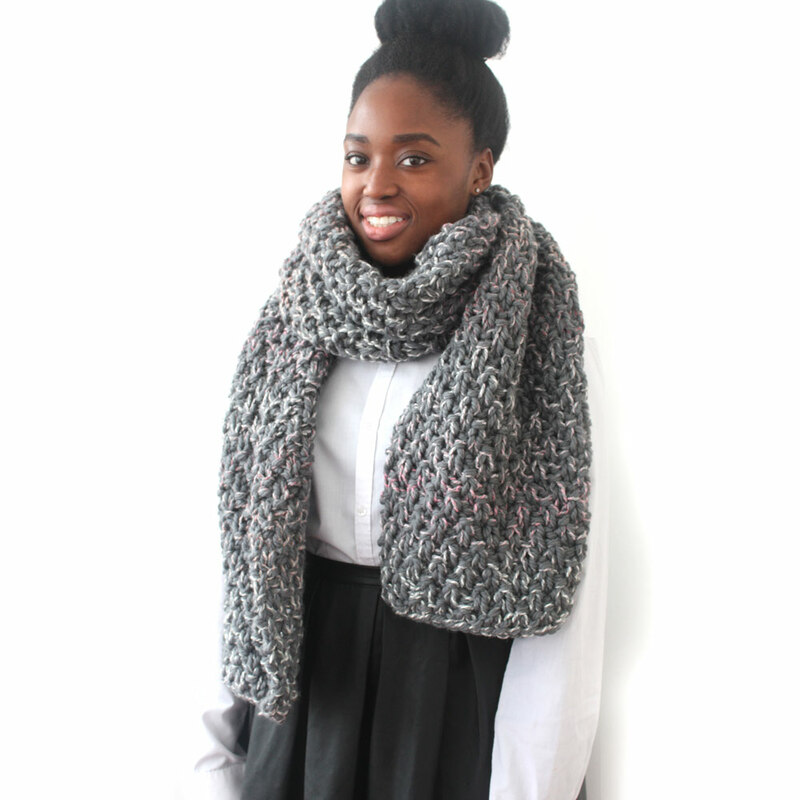 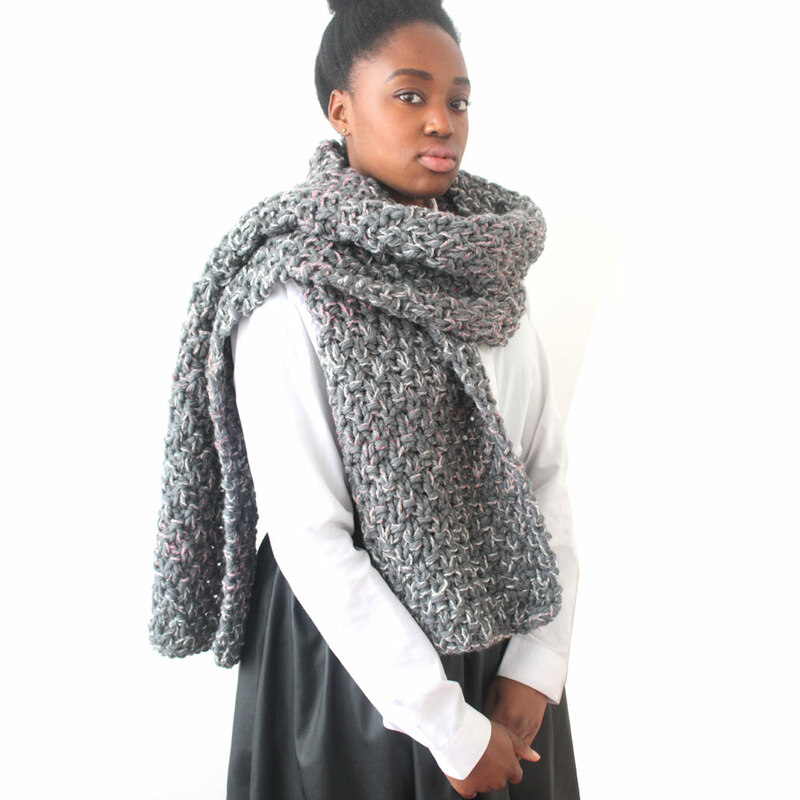 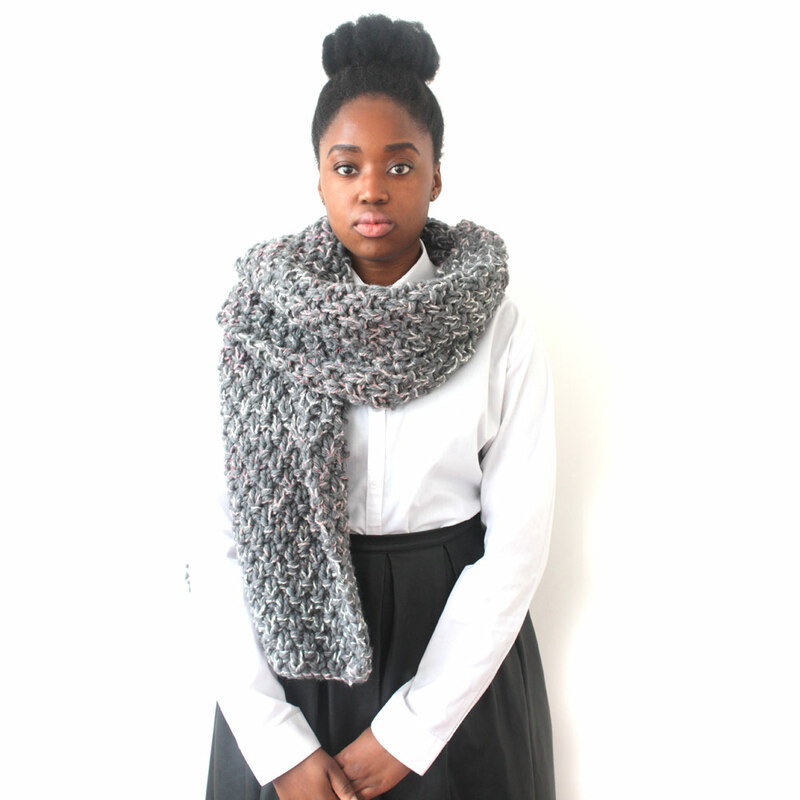 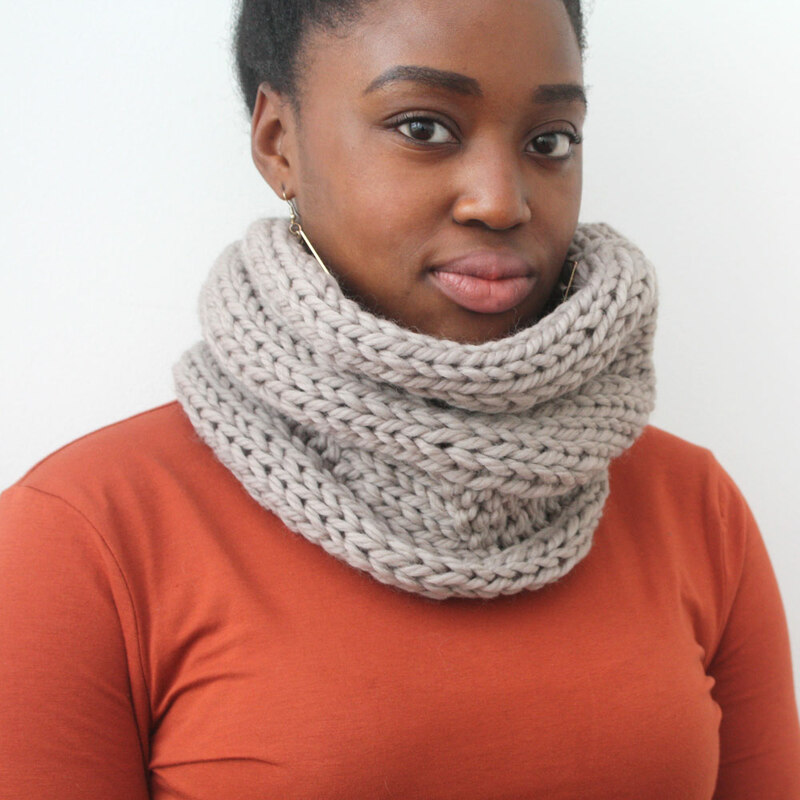 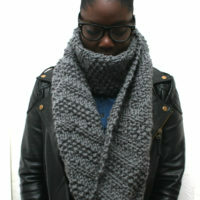 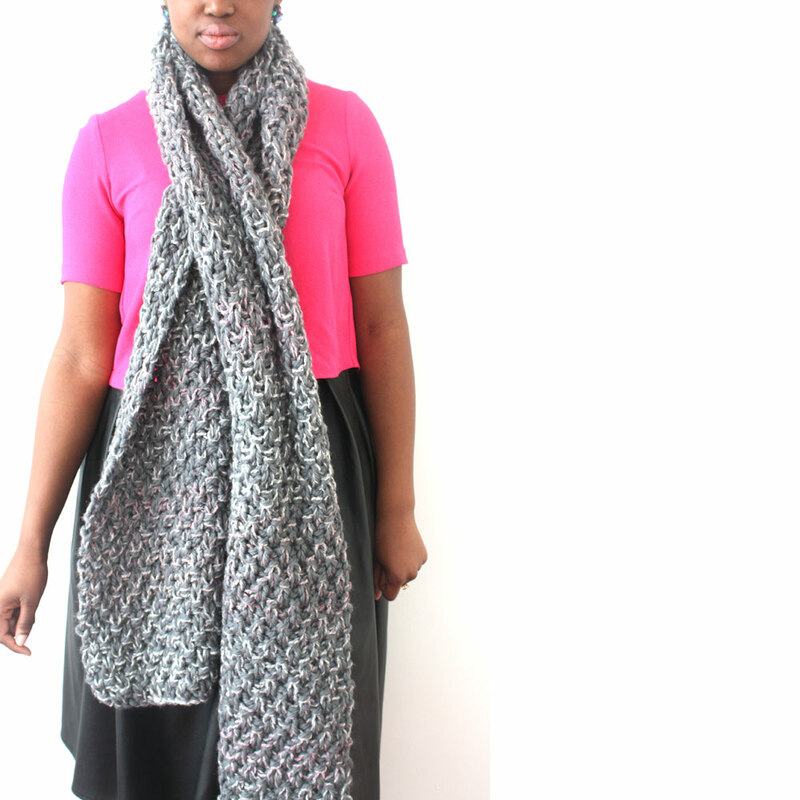 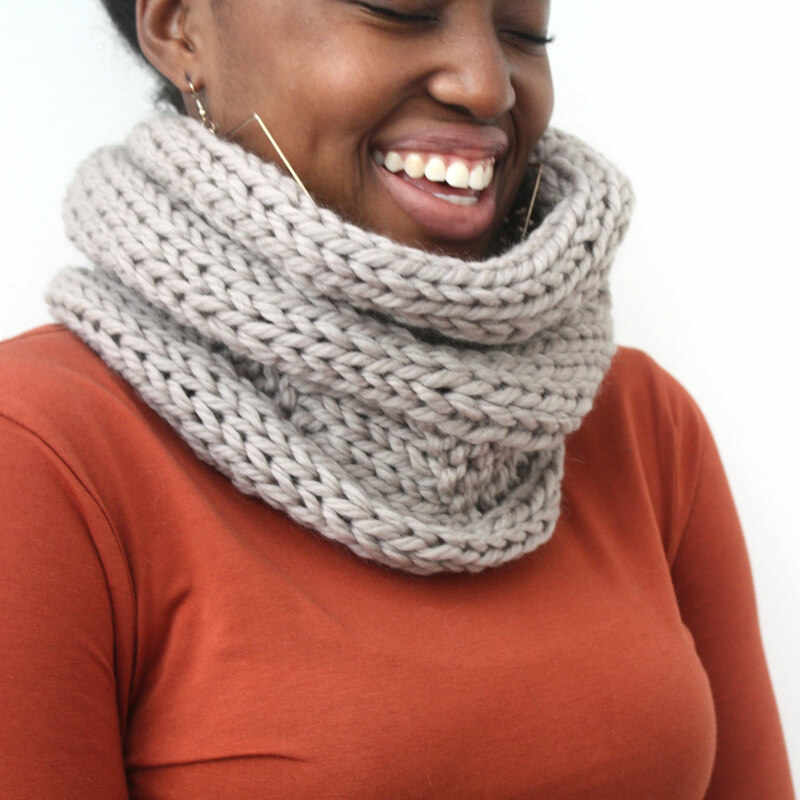 Beat the winter weather with this oversized grey chunky knit scarf. 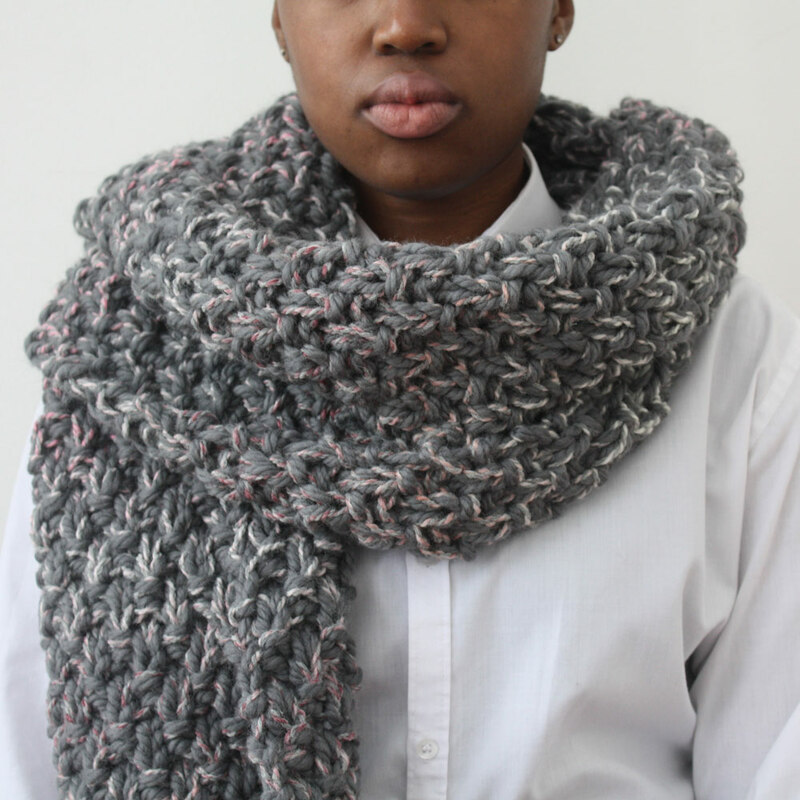 The grey of this hand-knitted scarf is mixed with hints of pink and cream for an added touch of colour. 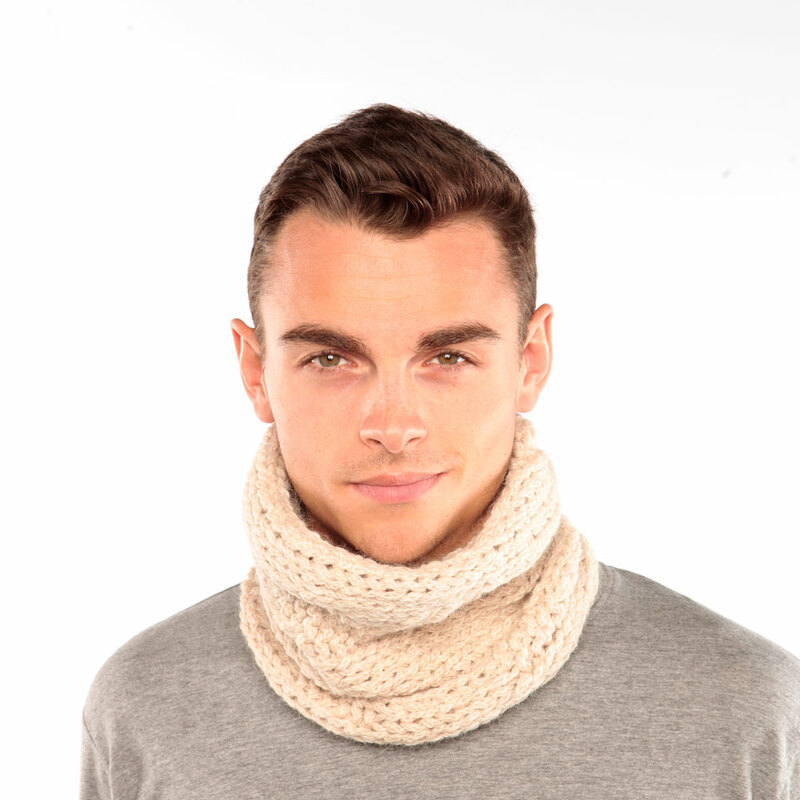 The scarf is long allowing you to wrap it round for extra warmth. 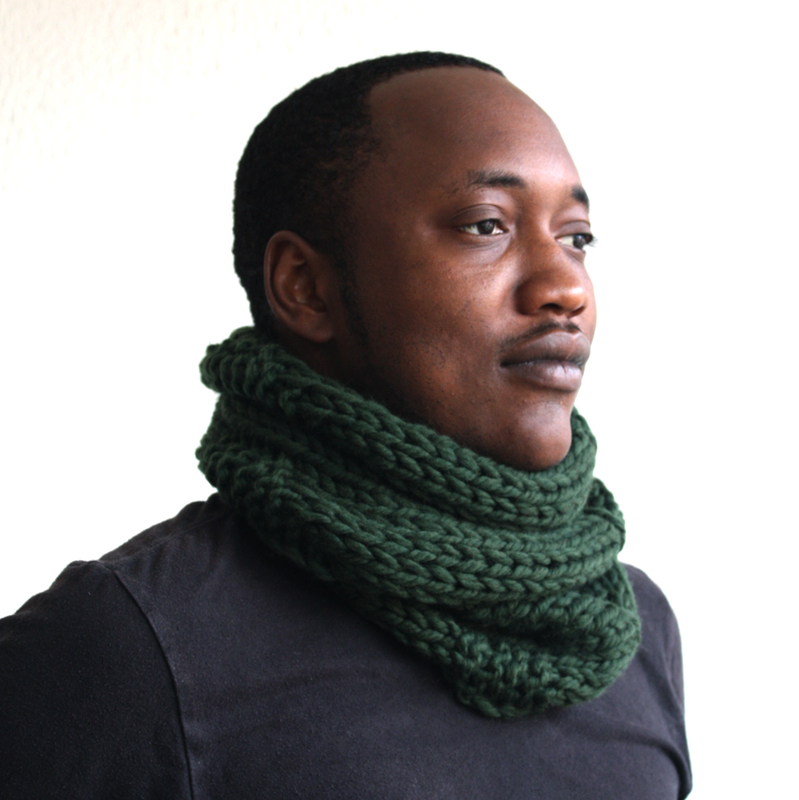 It can also be worn wrapped around and tucked-in to create an interesting neckpiece. 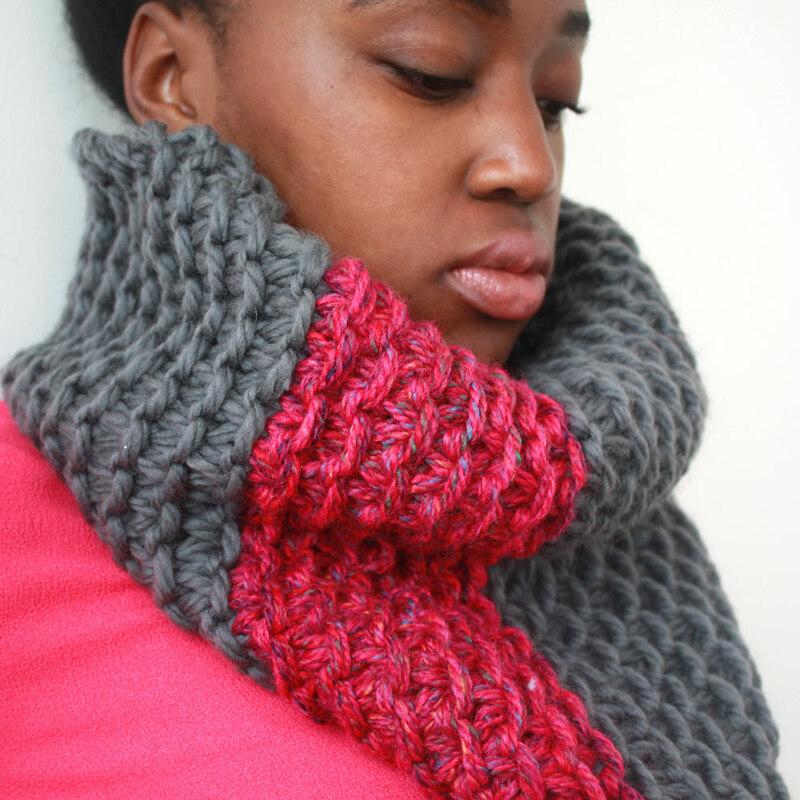 The yarn is 100% merino wool which makes it soft and warm. 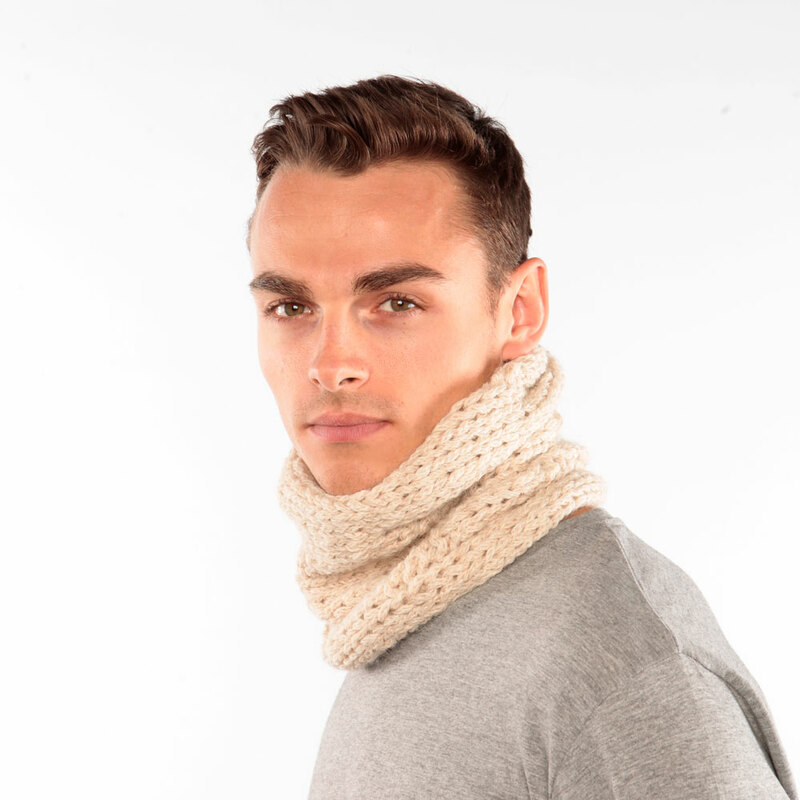 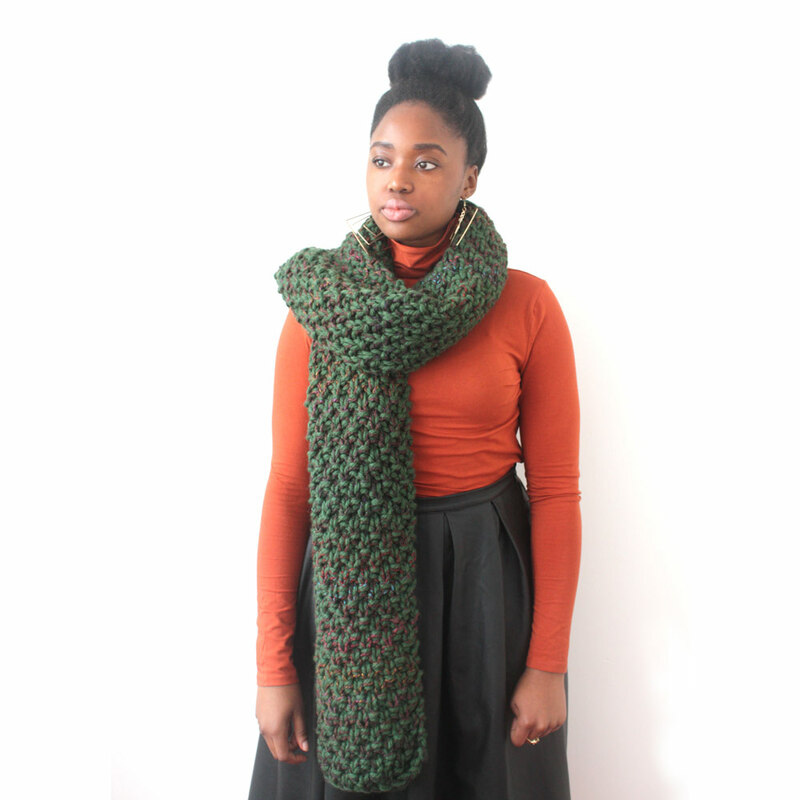 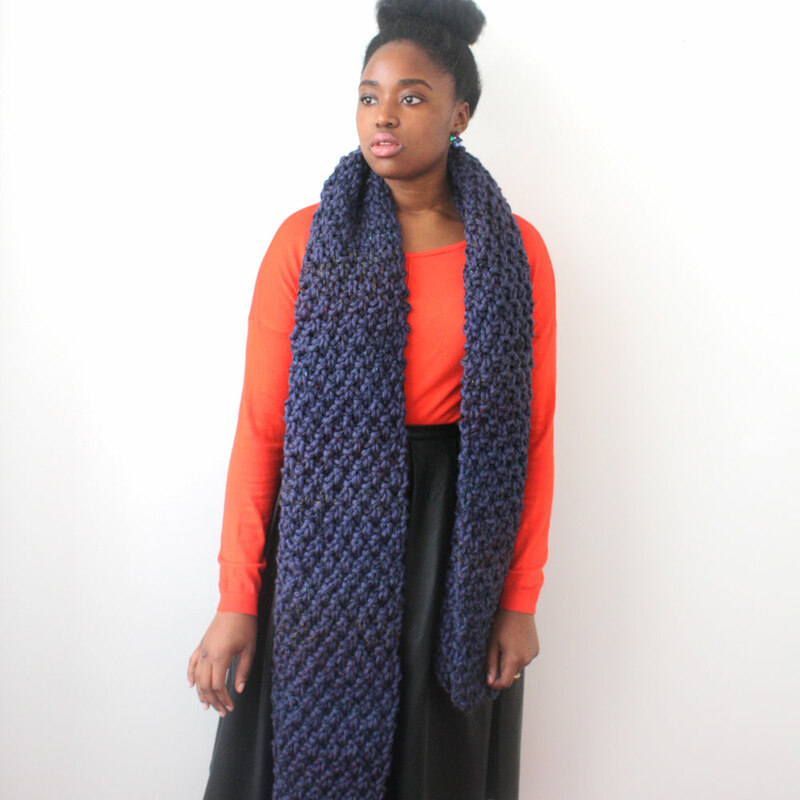 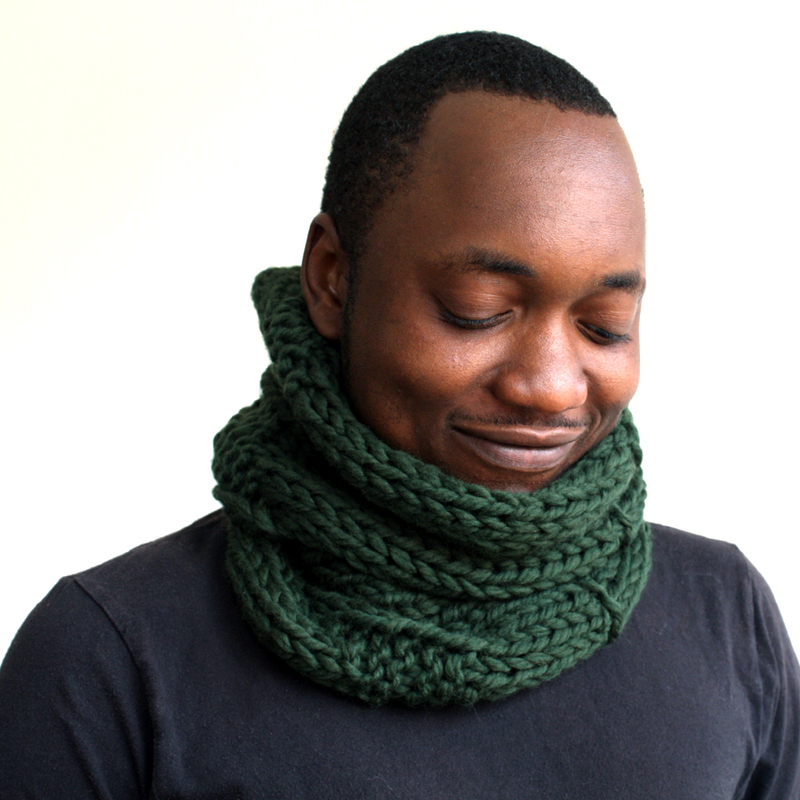 One size fits all for this unisex scarf.